Due to the generosity of our alumni and supporters, each year the Gene and Linda Voiland School provides more than $100,000 to undergraduate students seeking chemical engineering or bioengineering degrees. Scholarships may be provided to students pursuing chemical engineering or bioengineering degrees in accordance with the expressed wishes of those who donated the funds. Departmental scholarships may be offered to students in good standing. Undergraduates wishing to be considered for a departmental scholarship must complete this form and submit it and supporting materials by the date specified. Scholarships are based on merit, need, and availability of funds. The deadline is March 29, 2019 for academic year 2019-2020. Please review all the instructions on the application (PDF) and do not forget to sign and date it otherwise your application will be considered incomplete. Submit your application and all required documents to Maria Greaney Curry located in Wegner Hall 105B no later than 12:00 pm on the date of the deadline. After receiving your application, the Voiland School Scholarship Committee will determine your eligibility for one or more of the following scholarships. Students do not apply for a specific scholarship. The determination of which scholarship may be awarded to a specific student is made by the Scholarship Committee when it reviews your application. The scholarships are listed here for your information only. Incoming freshmen and transfer students should visit the VCEA scholarships page for more information. Although not awarded by the Voiland School, chemical engineering students may also be eligible for the Eugene and Linda Voiland Engineering Honors Scholarship. Those meeting the criteria for this scholarship are encouraged to apply to the Honors College. The Casebier family has a long history of support of Washington State University. A multigenerational Cougar family, the Casebiers include Ronald, who graduated in chemistry in 1955; Ron’s sons Joel and David, who received respective degrees in chemical engineering in 1984 and chemistry in 1986, and the former Joan Kordonowy, who met her future husband Joel while a student at WSU. In 1991, the family established its first scholarship in chemistry. In 1998, this second generous investment in the future of WSU creates a new legacy that will benefit countless generations of chemical engineering students. Paul Hohenschuh and Marjorie Winkler established this fund for Paul’s 65th birthday, one of those somewhat arbitrary career/life milestones. It reflects Paul and Marjorie’s deep interest in higher education and their strongly held belief in the empowerment that this education provides for ones life. Paul Hohenschuh, a Washington state native, graduated from WSU with a bachelors degree in Chemical Engineering in 1964. After four years in industry he returned to WSU and received his masters in Chemical Engineering in 1970. His WSU chemical engineering education drove Paul’s career. Paul retired in 2000 as vice president of manufacturing for Genentech after nearly 20 years with this biotechnology pioneer. Like many chemical engineers, his career path had taken him into an industry and technology that wasn’t even contemplated when he was in school. Yet, he was well prepared for the challenge. Paul continues to be an active supporter of the Voiland School of Chemical Engineering and Bioengineering. In addition to annual financial support, he serves on the College of Engineering and Architecture’s Advisory Board and on the Department of Chemical Engineering Advisory Board. Paul believes in the future of the Voiland School of Chemical Engineering and Bioengineering. He wishes to help enhance the performance and subsequent reputation of the School so that another generation of students can benefit the educational foundation needed for their 50-year careers. Paul G. Dalman was true to his profession of chemical engineering — precise and meticulous. Having grown up in Bellingham, Washington, he chose to attend Washington State University where he met and married Catherine Pluym, attending the School of Nursing. His job as a chemical engineer for DuPont began in Chile where he supervised the making of nitroglycerine and dynamite, used by the Anaconda Company in the copper mines there. After three years he returned to the US and was made plant manager of DuPont facilities in eastern United States. After he retired, he and Catherine had a house built in Roseville, California. After she died in 1993, he established a Nursing Scholarship at Washington State University to be supported by his estate in Catherine’s name. He lived alone until he decided to move into a cottage in Eskaton Village Carmichael, a retirement community in a suburb of Sacramento in 1998. There he met Helen Mills, a retired college writing professor, who lived in a cottage across the street. They enjoyed a close relationship, traveling and participating in several Eskaton activities. For about six years he set up and operated Eskaton’s in-house TV station. He was slowed down by two heart attacks in 2006. Though he limited his activities somewhat, he stayed busy using his Dell computer. He used nitroglycerine as he needed it for his heart. After two heart attacks in September 2008, he suffered a fatal one on September 24. Helen established a scholarship in Paul’s name for chemical engineering students at WSU. This scholarship was established in memory of Harry Stern, who passed away on January 4, 1973. Dr. Stern was Professor of Chemical Engineering and Associate Director of the Nuclear Radiation Center at the time of his death, and had been associated with Washington State University for 20 years. Recipients of this scholarship shall be attending Washington State University who have completed their first two years of study in Chemical Engineering. 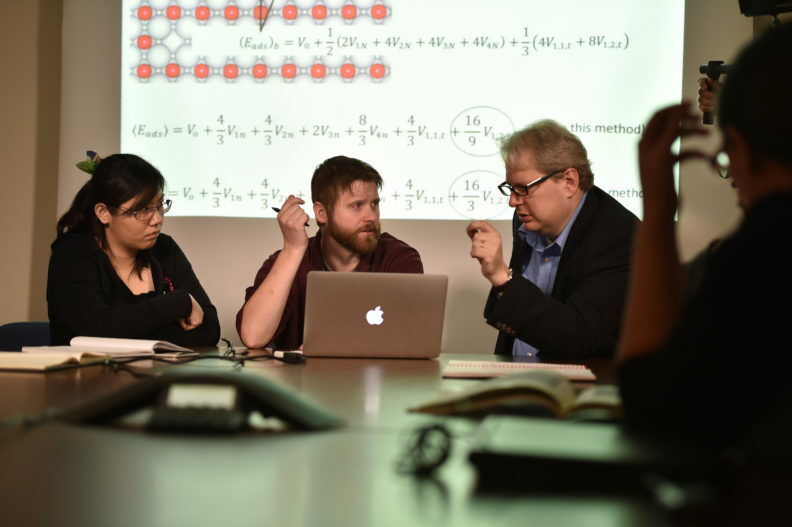 This scholarship was established to perpetuate the memory of C. C. Todd who devoted thirty eight years of his lifetime to Washington State University as Professor, Department Chairman of Chemistry and Dean of the College of Sciences and Art. Recipients of this scholarship shall be of at least sophomore standing who is enrolled in Chemical Engineering. Albert S. Jett was born in 1922. he pursued and received his degree in Chemical Engineering from then – Washington State College in 1953. His undergraduate work prepared him well for his professional career with Barium Products Limited and the FMC Corporation. The two years he spent at WSC were the happiest of his life. He benefited greatly from his education at WSC, and wants to provide the same benefits to students today. Through this gift, he also honors Dr. Austin, who was the head of the Chemical Engineering program when Mr. Jett was a student, and who became his mentor and a major influence in his life. This endowed fund is made possible through the generous support of alumni and other friends of the Chemical Engineering Department in the College of Engineering and Architecture at Washington State University. This endowed fund was established to honor George T. Austin, the first department chair in Chemical Engineering. Dr. Austin served as department chair from 1950-1973, and for a few months in 1979 prior to his retirement. 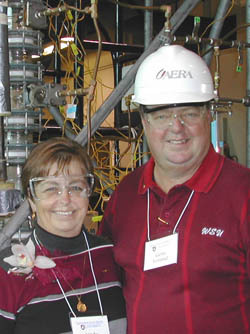 O. H. and Ruth Verne Reaugh established a scholarship endowment in Chemical Engineering in the late 1970’s. In the early 1990’s, the Reaughs gave again, establishing the O.H. Reaugh Laboratory for Oil and Gas Processing Research. This is among the first endowed laboratories at WSU. Establishing the laboratory allowed the school to devise innovative solutions to society’s need for clean, sustainable petroleum. It also enabled us to create bold new solutions that connect to life in unexpected ways, like new fuel cell systems for use in the next generation of aircraft. At the same time, students learn how to use the latest analytical equipment and how to creatively advance new technologies. O. H., now 96, still goes to his office every day and is still using the skills he learned in chemical engienering at WSU to solve problems and find solutions that will enable a clean, economically viable, energy future. Over the past 30 years, this fund has allowed many students to focus more exclusively on their studies; helping new generations of industry-ready, problem-solving chemical engineers. Ellen W. Roberts graduated from Washington State College in 1942 and her husband, June, was a faculty member in Engineering at WSU and endowed the Scholarship to Chemical Engineering and Bioengineering. During the course of their lives, Melvin M. and Ruth M. Smith generously supported a variety of Washington State University programs. Melvin graduated from WSC in 1928 with a degree in chemical engineering and later established the Spokane Pres-to-Log Company. After his death in 1980, Ruth decided to establish a scholarship endowment in his memory. Scholarship grants are for students attending Washington State University and majoring in chemical engineering. Ralph L. Tiede was born in Spokane, Washington on August 27, 1916. He matriculated from Central Valley High School in 1934. Ralph went on to earn his Bachelor of Science degree in Chemical Engineering with honors and Phi Beta Kappa from then – Washington State College in 1939. Ralph also completed a master’s degree in 1940 from The Ohio State University. Ralph’s career took him to Owens Corning Fiberglass in Ohio where he worked for 41 years in the research lab. He attained the status of Research Fellow, with 24 patents to his credit. According to his wife, Mary, Ralph was always proud of his years at Washington State. She has established this scholarship in loving memory of Ralph and believes he would be happy with the support she is providing in his name to students in chemical engineering. Joseph Vavra was born on May 1, 1911 in Colorado. He graduated with a degree in Chemical Engineering from then – Washington State College in 1934. Later he also received a degree from the University of Michigan. He married Mary Vavra in Chicago in 1940. He enjoyed a long and wonderful career as a chemical engineer with Universal Oil Products and was headquartered in Des Plaines, Illinois. During his retirement he enjoyed his pipe, fishing, golf, and woodworking. Scholarships are awarded to students attending Washington State University and majoring in chemical engineering. While at WSU, Clarence met Mary Lou and two years after graduating they married. They have enjoyed a most successful marriage of over 50 years and because of the education and degrees earned at WSU, have had satisfying and fulfilling careers. Clarence worked as a chemical engineer. Mary Lou taught home economics and elementary education. Clarence worked for 33 years with the Aluminum Company of America at six different locations with the two of them being foreign assignments. When possible, Mary Lou was involved in education at the different work locations. Clarence was born and attended schools in Northport, Washington. Mary Lou was born in Spokane and attended there and graduated from Mead High School. It was fortunate that both of them decided to enroll at WSU in 1947. WSU impacted their lives and careers very much because that is where they met and earned degrees that opened up the opportunities they have had. For many years they have been small contributors to the WSU Foundation. When Mary Lou’s parents died, some farmland was passed to her. Eventually, when the land was sold, they established a Charitable Remainder Unitrust and want to give some of that trust to WSU because WSU was very instrumental in helping them to a wonderful life. They also included the name Granger in their endowment in memory of Ed and Hazel Granger, because it was their land that made the endowment possible.